A photo on Iepieleaks that I posted some time ago gave some discussions and reactions. One is from Günter Obst from Yachttransporte, Germany. 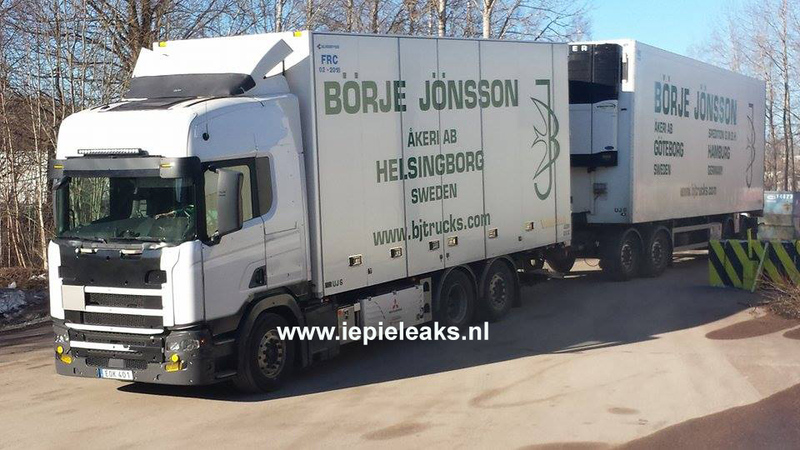 He says the roof of the Scania of Börje Johnsson is not that high, but the cargo area is higher than we are used to. Another thing that caught his eye was the roofhatch. That looks like a glass roof. 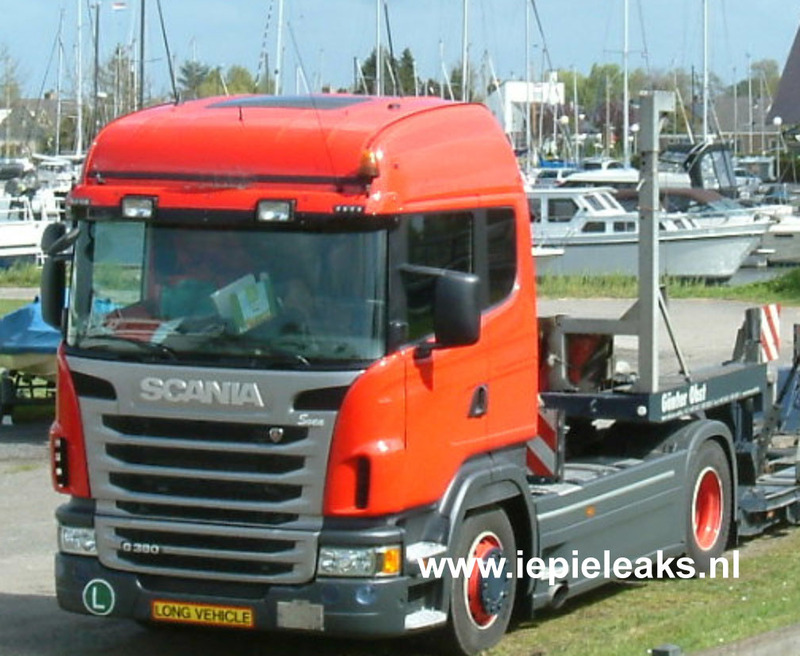 here is some more information about my Scania G 380 tractor unit. The glass roof is from the Webasto Hollandia 900 series. These are no longer sold in Europe, but still available on other markets worldwide. Mine has been imported by a dealer near London, from the United States. The metalwork (cutting the hole, welding in the frame) on my cabin has been done by Scania Hamburg. 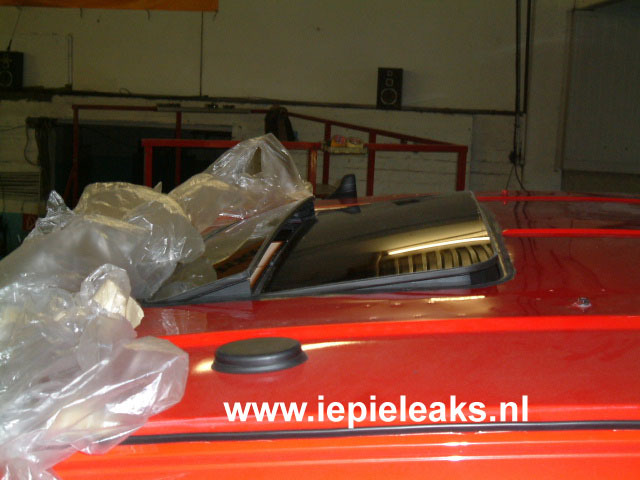 Mounting and adjusting the glass roof, and all the interiour work, I did myself, with the generous help of Scania Neumünster. 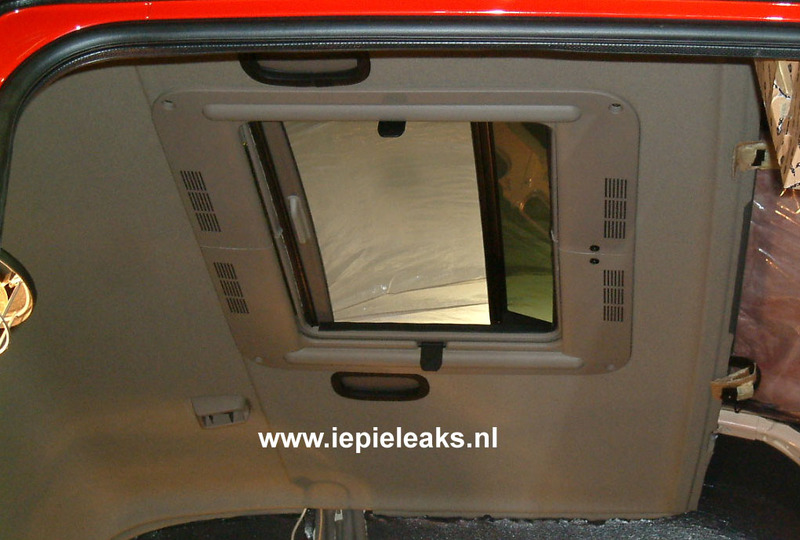 The glass roof, including the cassette for the sliding panel, fits nicely into the scania cabin. No interiour height is lost after all the covers are fitted. Exteriour height of the cabin is even reduced by 25 mm. 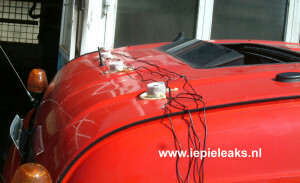 Interiour lights had to be moved to the side panels, as the frame of the glass roof is limiting space in the old position. The roof is equipped with rain detection, so you can park the truck with roof fully open without worrying about any black clouds on the horizon. The front glass panel of the roof serves as a wind deflector when fully open, so driving at 80 km/h with the roof fully open is convenient. The interiour cover for the glass roof has been built using two original covers for the smaller original Scania roof hatch. Shade and mosquito net are fully operable as in the original version. The black material visible in some of the pictures is additional insulation. The whole interiour of the cabin has been covered with this insulation in order to give better acoustic and temperature damping. As the Scania G model has a higher engine tunnel than necessary to accomodate the six-cylinder engines, also the tunnel was fitted with additional insulation. The original engine capsule (not visible in the picture) was also used, fitted 50 mm lower than in its original position. When driving, you do not hear much of the engine as long as windows are closed. Inside the cabin, the bunk is raised by some 100 mm to give a convenient sitting position and to accomodate a fridge below. The second bunk is strapped underneath the roof when not in use. The table can be removed and stored on the passenger side. The floor above the engine tunnel is equipped with electric heating, so your feet will not be freezing while sitting at the table. 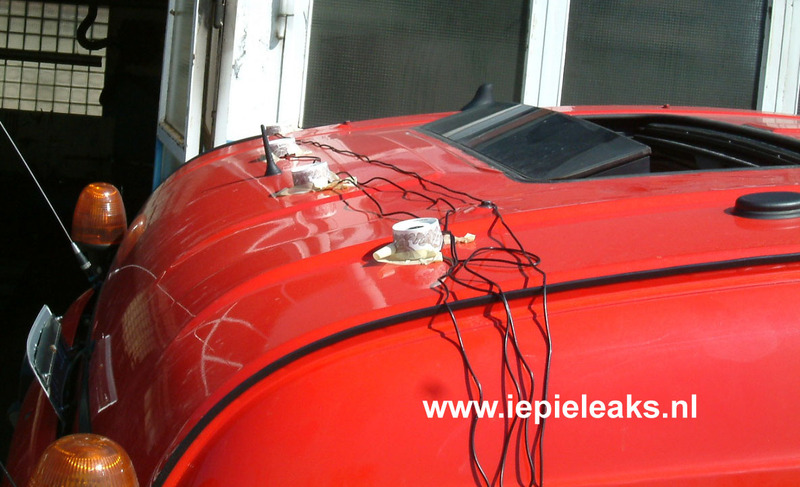 For heating the air inside the cabin, a gas heating is fitted. On the passenger side, there is gear storage and a fresh water box with electric pump, shower (to be used outside) and a small sink instead of the passenger’s seat. The rear side of the lower bunk is stiffened and a seat belt is fitted, to give a possibility for a second person to travel with the truck. 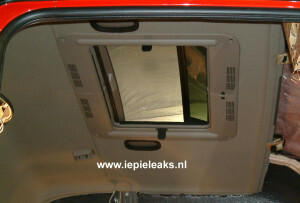 Now Günter wonders if Scania is also comming with a glass roof option. 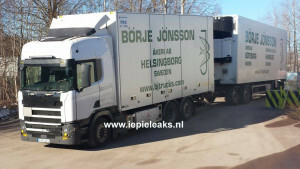 The spie shots do look like the truck has a roof hatch made of glass but we have to wait and see.